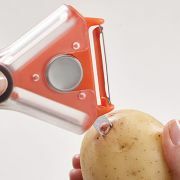 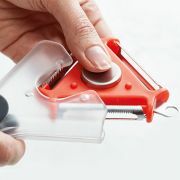 All your vegetable peelers in one handy, compact tool! 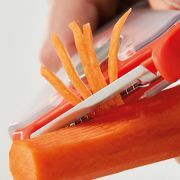 Simply switch between blades to peel different types of vegetables eliminating the need for several different vegetable peelers. 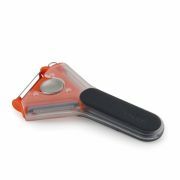 Featuring three stainless steel blades straight, julienne and soft fruit all with an easy-grip handle.